United Cutlery S.O.A. 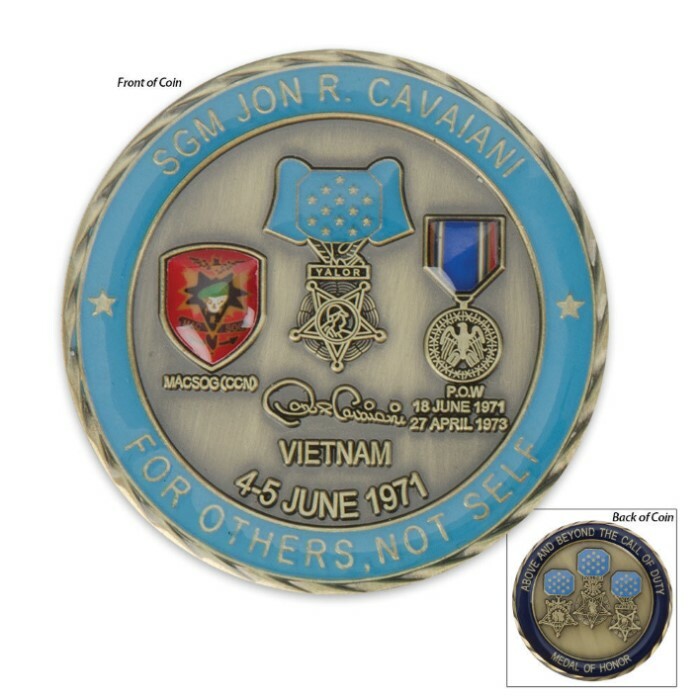 Medal Of Honor Cavaiani Trapper Pocket Knife & Coin Set | BUDK.com - Knives & Swords At The Lowest Prices! 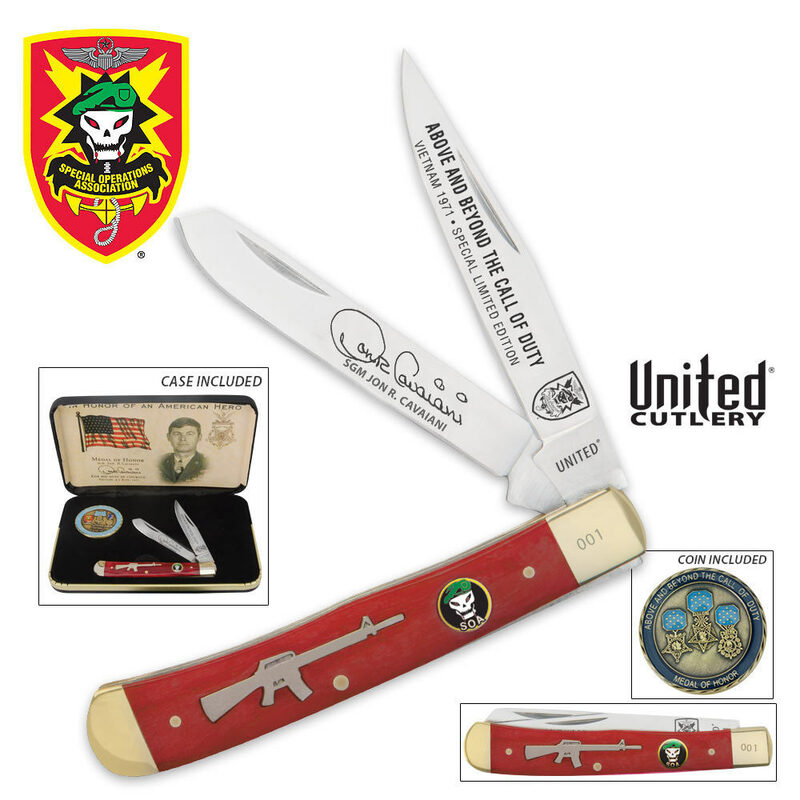 This commemorative set includes a trapper knife and a commemorative coin. Like all United Cutlery knives, this Special Edition knife has been honed to sharpness not found among other manufactured knives. This is a great tribute to an awesome man!